After a quick two-day group stage, the teams are now off to play some high-stakes matches in the double-elimination playoffs of the The Chongqing Major 2019. Tomorrow, eight teams will battle it out in a best-of-three series with a spot in the upper bracket finals waiting for the winners and a precarious road down in the lower brackets awaiting the losers. 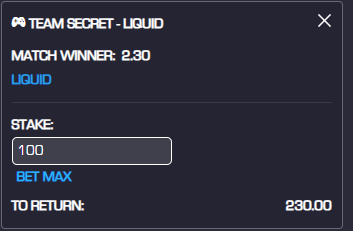 Although each matchup is well worth watching in that they’re a battle between some of the best Dota 2 teams in the world and could go either way, our eyes are set on the showdown between the European giants, Team Secret and Team Liquid. Most oddsmakers heavily favour Team Secret. However, based on their recent performances, it seems like rumors of them heading into the tournament with only two days of practice was true. They have looked out of shape so far, only looking good against Thunder Predator, a team who would probably struggle against inferior competition at the Minors. Forward Gaming, a team considered a step below them, gave them a hard time, and they were terribly outclassed by PSG.LGD, losing 2-0 in a series that was nowhere near as close as the scores and match time indicate. Their opponents, Team Liquid, are carrying a handicap of their own. They’re playing with a substitute in Chu “shadow” Zeyu. You wouldn’t really think that based on their performance though. shadow has been nothing but stellar so far for Team Liquid while standing in for Amer “Miracle-” Al-Barkawi. The TI6 winner should only continue to do better as he gets more comfortable playing with the rest of the team. While we do expect Team Secret to take things a bit more seriously tomorrow in the playoffs, there’s really no making up for the lack of practice. A top-tier team like Team Liquid will punish every mistake they make, which is why we favour them to win tomorrow in their best-of-three series.